Backing bars, or clamp bars, are steel bars or angles used to mount or clamp the fabric to the frame work or duct flange. FS products manufactures backing bars in a variety of materials and thickness as required based on the specific application. The backing bars are shipped as full rings or picture frames when practical. Holes are pre-punched to match the adjoining ductwork to allow quick and easy installation of our U-Joint Formed Flange expansion joints. Backing bars are typically shipped painted with our standard high-temperature silver primer, but custom coatings and galvanizing can also be applied. Backing Bars are provided to attach the fabric expansion joint to the adjoining duct or fan flange. These are provided on various materials and thicknesses to meet the design conditions. We can provide round units with split or single piece rings and rectangular units can be provided with four bars per side or welded picture frame. We offer a variety of standard finishes as well as hot-dip galvanizing. All expansion joints can be supplied with various configurations of flow liners. Flow Liners can be supplied as bolt-in unit design, single, tapered, overlapping, and floating. The primary purpose of flow liners is protection of the internal insulating materials from abrasives in the gas flow. They are also used to secure the internal accumulation pillow in place as well as to provide a laminar flow in the area of the expansion joint. Flow liners need to be designed to allow full system design movements while providing the necessary protection and support. Many materials of construction are available including carbon steel, stainless steel, Corten, AR Plate, and special alloys. Check with FS Products to see how flow liners can increase the life of your expansion joints. 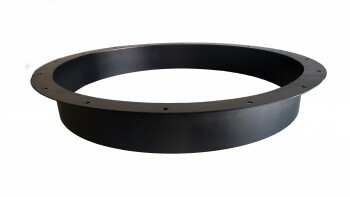 Gasket are recommended for any metal to metal installation. 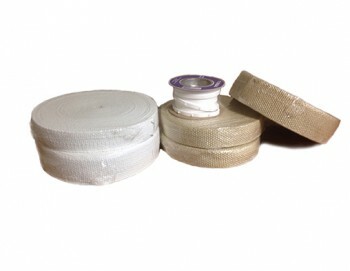 We stock several widths of fiberglass gasket tape as well as PTFE coated fiberglass products. Our extruded PTFE gasket tape is ideal for fabric to metal installations or when a highly compressible, chemical resistant seal is needed. Let us provide all of the gaskets required for your expansion joint installation to avoid costly delays and misplaced parts needed during installation. Flexible Specialty Products can provide any necessary mounting fastener for your expansion joint application. 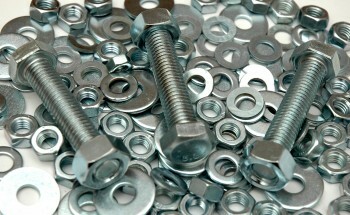 We will properly size the fasteners and provide standard grade or any specialty fastener required. 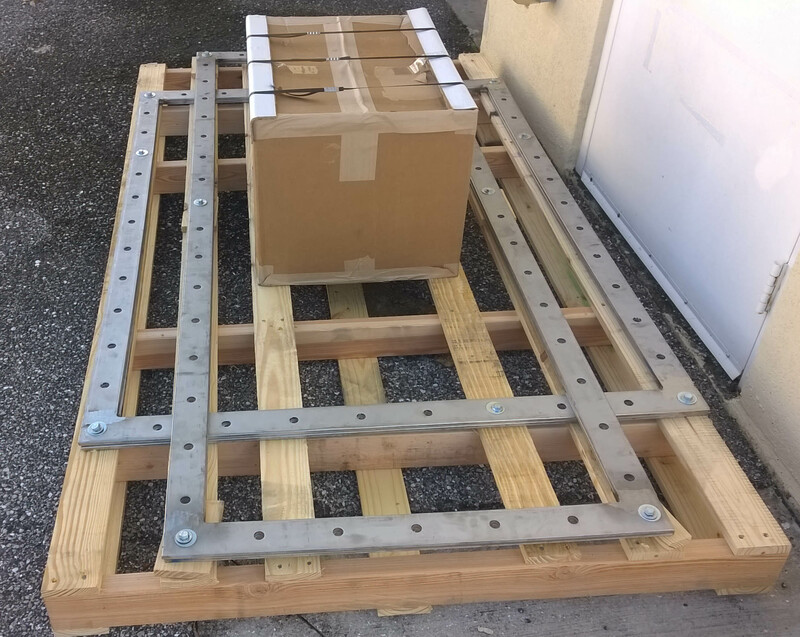 The fasteners will be packaged with the expansion joint shipment to assure the fasteners will be on-site when needed to avoid costly delays or misplaced parts.